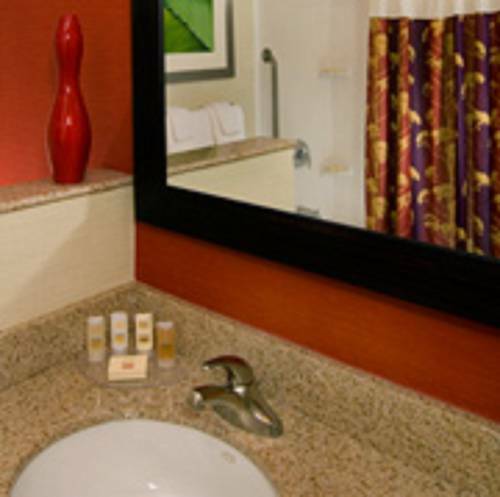 From weekend getaways to business trips, Courtyard Galveston Island offers the perfect blend of convenience and thoughtful amenities designed for all types of visits. Located along the Galveston Seawall, our oceanfront hotel makes it easy for you to explore top attractions. Dip your toes into the warm sands of Jamaica Beach, seek thrills at Pleasure Pier and delve into nature at Galveston Island State Park. Following an action-packed day, settle down in our rooms featuring pillow top mattresses with plush bedding. Wake up and fuel up for a day of sightseeing or meetings at The Bistro, our on-site restaurant open for breakfast and dinner. Intimate celebrations or business presentations can be successfully hosted in our flexible event room. During free time, take a refreshing dip in our resort-style pool, then relax in your own private cabana. No matter where you are in our hotel, you'll always stay connected via our complimentary Wi-Fi. Make a little room for comfort at Courtyard Galveston Island. Pro Baseball:Constellation Field "Home of the Skeeters"
Movie Night on the Strand - "A Wrinkle in Time"